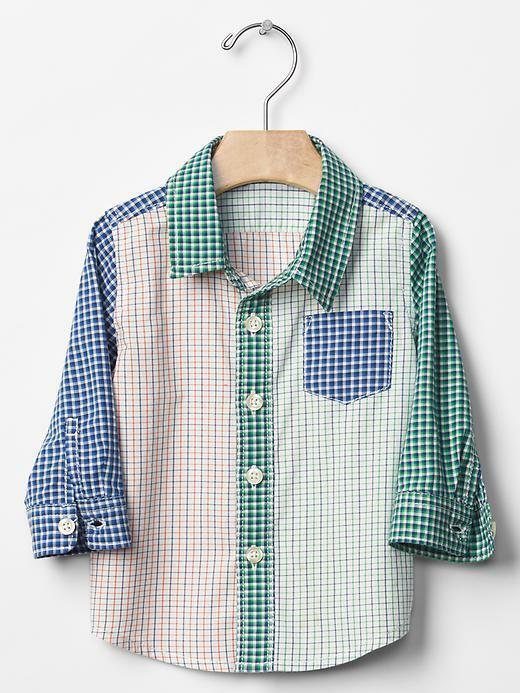 Gap Smooth poplin weave. Long sleeves with button cuffs. Collar. Front button placket. Patch pocket at chest. Curved hem. Mixed plaid throughout.